The Belinda Hughes team is changing the face of beautiful, healthy skin. We have an extensive understanding of what skin needs and provide a highly customised approach to each individual client in our beauty treatments. Following our mantra of building healthy skin for life, we are not about quick fixes but creating daily rituals that can outlast any unbalanced day. In the clinic we combine traditional beauty treatments with the latest cutting edge technology like sonophoresis, galvanic, and micro-current that not only makes you feel like you’ve had an experience at a day spa, but also leaves you with the amazing results. 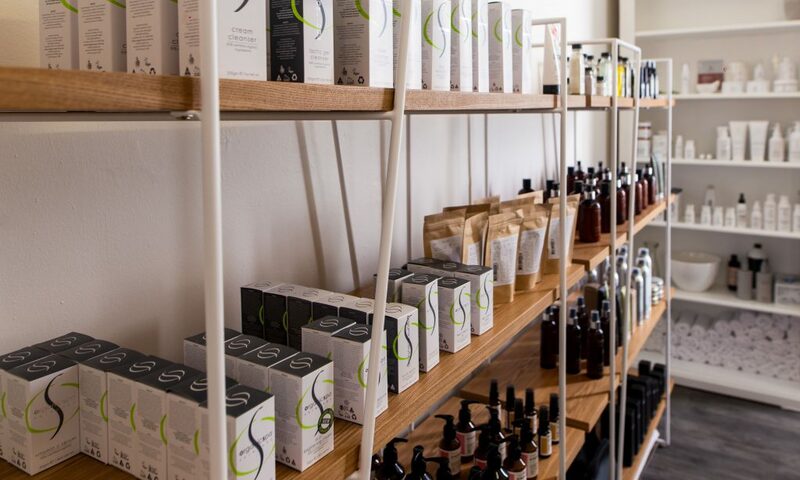 We highly curate our range of professional grade, organic and natural skin care products from all over the world, stocking only those that give the absolute best results. They are class leading products with the highest quality natural ingredients, with many certified organic, and vegan friendly. Exhausted by family and career responsibilities? It's time to take some much-needed time out and enjoy some pampering just for you. This beauty treatments package provides 2 hours of virtual slumber where you'll leave with your skin, eyelashes, and toes looking amazing. Your treatment begins with a back and shoulder massage followed by a customised facial with enzyme peel applied by one of our natural beauty artists. You will then be treated to a professional eyelash tint and premium pedicure finished off with Kester Black nail polish in you choice of colour. You will leave feeling refreshed, and polished with a customised skin care treatment plan to suit your lifestyle. Look fabulous for anything that may come your way this weekend. This beauty treatments package is designed to smooth away the stresses of the week and get you buffed and polished for the weekend! Starting with a facial enzyme peel, your beauty artist will peel away that accumulated build up of dirt, oil and makeup. Your beauty artist will then file and clean the cuticles before applying the all natural ingredient Kester Black polish in the colour of your choice. The treatment will then move to a professional eyelash tint and finish with a tinted moisturiser. You will leave feeling refreshed and empowered with a customised skin care treatment plan to suit your lifestyle. Experience the ultimate back treatment from the team at Belinda Hughes. This is more than just an exfoliation, it's a complete detox experience that leaves you glowing. Your Beauty Artist begins by performing a dry body brush to remove dead skin, before applying a hot Hungarian mud to detox stagnate tissue. The experience is finished with a massage in coconut firming body lotion to nourish and leave your skin firm, clear, and glowing. Using the highest quality of hypoallergenic eyelash tint, your beauty artist will give your lashes luscious colour without irritation. The eye area will also be treated with an organic eye balm while the tint sets for that extra wow factor. Your beauty artist will make your brows stand out with a customised colour mixed especially to match your natural hair. A high quality professional grade tint gives long lasting results, without irritation. Be the envy of everyone in the room with a premium, professional lash lift that creates a sweeping natural curl. This process creates the illusion of longer looking lashes that really open up the eyes, lasting up to 12 weeks. The lash lift is suitable for short or long lashes and is a truely premium, natural alternative to eyelash extensions. Much more than just a regular eye treatment, this procedure nourishes, lifts, and firms the eye area. Your beauty artist will start by performing a full face cleanse and micro current treatment to remove excess build up of dirt, oils and makeup. This is then followed by a lymphatic drainage around the eye area to reduce puffiness before finishing with a nourishing, all natural mask that will lock vitamins and hydrate the skin. A pedi peel is similar to our professional facial peels except made specially for feet. This advanced system from Switzerland guarantees extraordinary softness with no damage to your healthy skin. To complete the treatment, your beauty artist will massage organic body butter into your feet to ensure lasting softness and coat your nails with all natural Kester Black nail polish in your choice of colour. Treat your feet to a traditional pedicure with a modern twist. Your beauty artist will start with a naturally occurring alpha hydroxy acid to help scrub away dead skin on your legs and feet. Next comes an application of organic body butter to leave your skin feeling soft, nourished and smooth. The treatment will then be finished with vegan friendly, all natural Kester Black nail polish in your choice of colour. Our premium manicures are performed by expert natural beauty artists, using only professional grade products that contain all botanical ingredients. The naturally occurring alpha hydroxy acids in the products we use help to brighten sun spots and soften cuticles, while the organic body butter nourishes your hands leaving them feeling soft and hydrated. To finish, your beauty artist will buff your nails to a high shine or coat them in local vegan-friendly, all natural Kester Black nail polish in your choice of colour. Treat your hands and feet with a premium manicure and pedicure using products made from all natural ingredients. Your expert beauty artist will provide a professional, indulgent treatment that will leave you relaxed. Your experience will be complete with an application of local, vegan friendly, Kester Black all natural nail polish. In a rush? Our professional beauty artists can have you filed and polished in no time complete with vegan friendly, all natural nail polish from Kester Black. An Online Skin Consultation with Belinda Hughes Skin Clinic is perfect for anyone who can't make it in to the clinic or, is simply seeking advice on natural and organic skincare products. If you don't where to start, an online skin consultation will take the guesswork out of how to best look after your skin. The consultation will also give you access to a range of professional beauty products recommended by Belinda. These are professional products and not available at your local grocery store or chemist - only through a qualified beauty therapist. Give the gift of beauty that can only come from a treatment using all natural skin care products. A Belinda Hughes gift voucher can be used on any combination of facials, beauty treatments or, natural, organic or vegan friendly skin care products.